When outsiders think of Oregon, a few things immediately spring to mind — rain, proximity to the Pacific Ocean, the "Portlandia" series, rain, lots and lots of trees — oh, and rain. Largely because of the "R" word, Oregon, according to the USDA's 2014 Census of Horticultural Specialties, also is one of the top three states for nursery production in the United States, with 61,099 acres of trees and other nursery stock — and another 41,000 acres of Christmas trees. One could say the state has a corner on the market. But how are Sandy-area nurseries feeling about their futures in the industry? 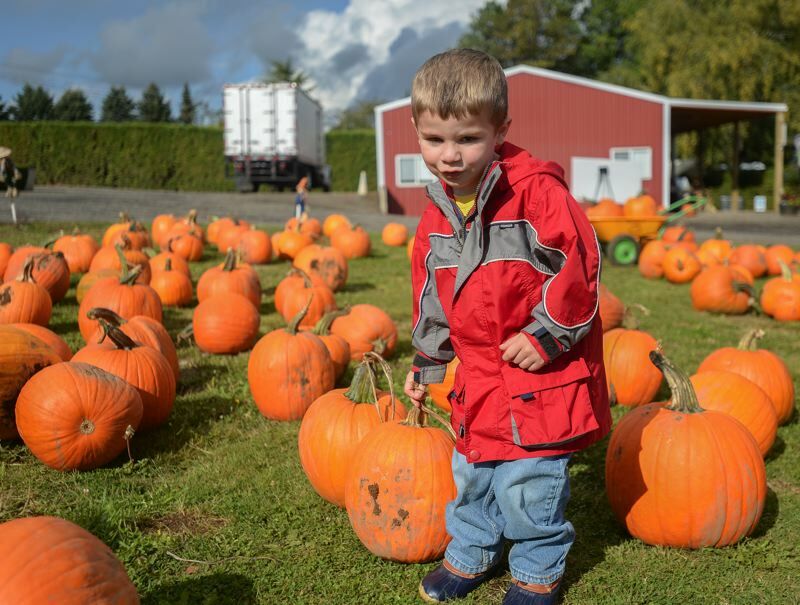 Clackamas County came in second statewide with nursery sales of $147.6 million in 2010, but some local nursery owners are still feeling the effects of the 2008 Great Recession, even a decade down the line. When asked about the largest problem facing the industry today, the overwhelming response is labor. Steven Sobella of Sobella Farms recently annexed his land into the city of Sandy. For Sobella, this is not admitting defeat. He plans to keep growing for as long as possible, but admitted, "I am nervous about help." Sobella has been in business in the Sandy area since 1988, specializing in ornamental field stock and nursery container stock. 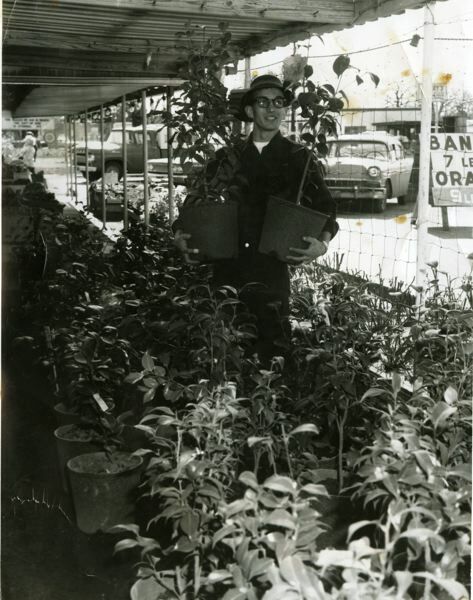 "In the late 1980s, Boring, Oregon (nurseries) were the leaders of the nursery industry," Sobella said. "By the late '90s, that all changed and it went down to the Willamette Valley. There aren't huge swaths of land (in Boring) anymore. There is opportunity, though, for micro-to-small growers." That is, if they could find people to work the property. 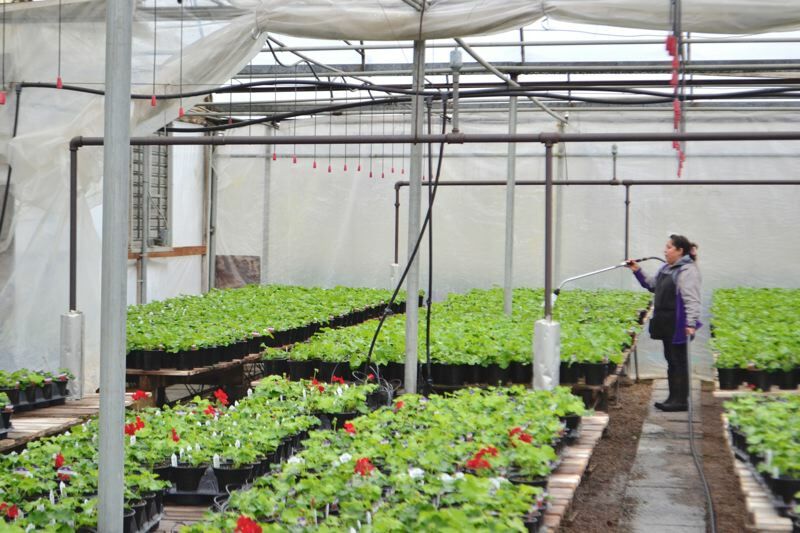 "What you see now is the entire nursery industry in Oregon doesn't have enough help," Sobella noted. He attributes much of the labor issue to the 2008 recession. The success of nursery industry, he explained, is very much tied to the housing market. When that took a dive in 2008, people weren't buying homes or having them constructed, so trees and plants for landscaping weren't needed — and nurseries suffered. "I think two things happened — the recession of '08, which led to a nursery depression from 2009-12," he said. "A lot of people laid off their help, and a lot of help just didn't come back to it." Al's Garden and Home, which has a location in Gresham at 7505 S.E. Hogan Road, has built a significant reputation for itself in 70 years of business. Three of its four locations in Oregon house growing operations on-site, making the company somewhat self-sufficient, but the owners still buy from local peers. 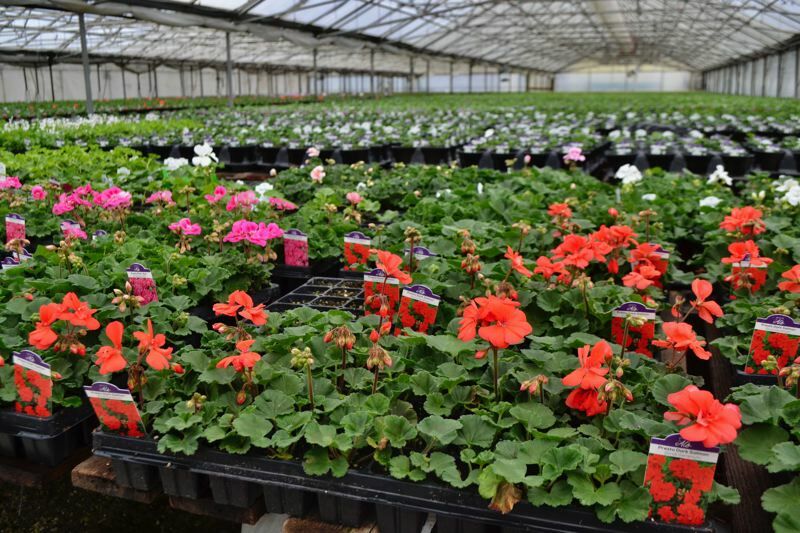 Mark Bigej, chief operating officer of Al's Garden and Home and past president of the Oregon Association of Nurseries, said though the Gresham location isn't really in need of extra hands right now, the business has been no stranger to the labor issue. "This year is really the first year its started to affect us (at Al's)," he noted. "I've grown up around and in the stores all my life. To what we've seen in the past, I think (our current sales) are out there with the best. ... I think one of our keys is that we both grow and (sell) retail. We saw the slowdown coming, and we cut crops. 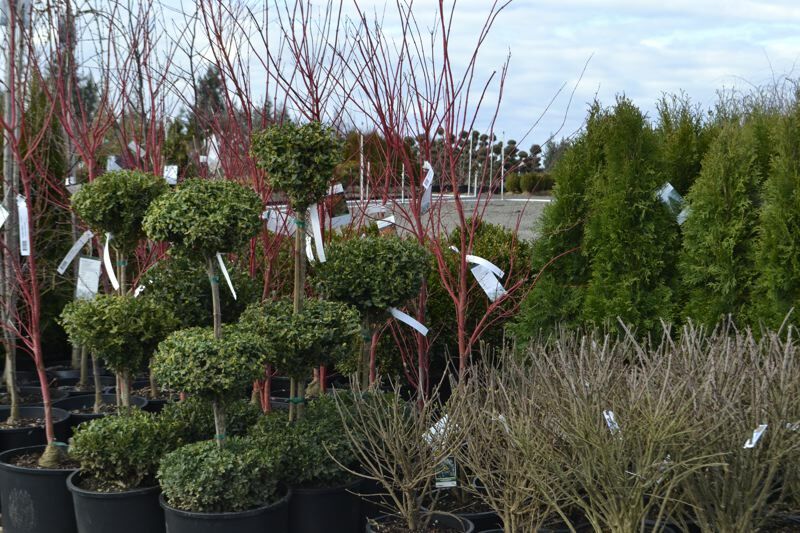 That is easier with annuals and perennials that have a shorter growth period, whereas other growers have to plant trees five to six years in advance." Overall, he feels Al's is faring well, but added, "We are behind on planting (because of lack of help). I am concerned with the future." 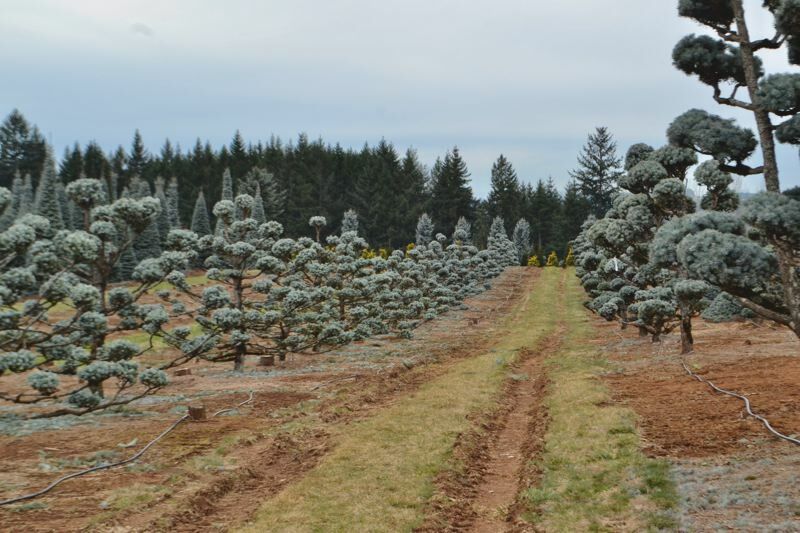 The fate of Oregon's nursery owners' ability to attract laborers closely follows the national trends. The U.S. Department of Agriculture reports the average number of hired farmworkers nationwide has steadily declined through the past century, from roughly 3.4 million to just more than 1 million. Because the U.S. labor force grew, agricultural employment as a proportion of total employment has declined. According to the Farm Labor Survey, the annual average number of people employed as farmworkers, including agricultural service workers, decreased from 1.14 million in 1990 to 1.03 million in 2007. Since then it has held steady at just above 1 million. "A lot of people are looking at automation," Bigej added. Where there aren't hands to help, machinery comes into play. Estacada tree farmer Dan Rickel is one of those people. In recent years, the longtime nursery owner has resorted to purchasing some machinery, racking up hundreds of thousands of dollars in expenses. The Kubota tree diggers alone are about $100,000 apiece, and the blades with which farmers dig up trees cost anywhere from $18,000 to $50,000. That expense springs from a lack of working hands, Rickel noted. "When I was a schoolteacher I'd hire high-schoolers, but high-schoolers have lost all interest in working," he said. "We started using contract labor six or eight years ago. And that's even hard to find now. ... This will be the first year we'll be seeking elsewhere for people to shear the tops of Christmas trees." 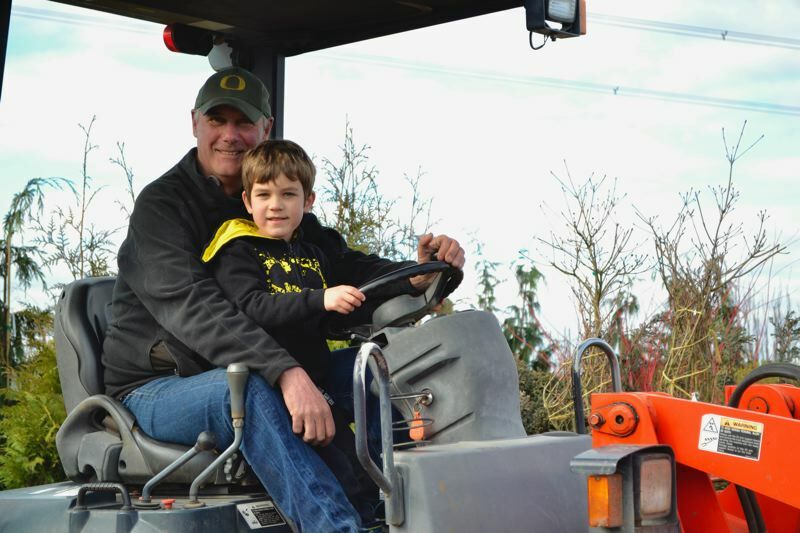 Barry Bushue, owner of Bushue's Family Farm in Boring and 19-year president of the Oregon Farm Bureau, argues that "there's no doubt that the workforce is a huge issue," but that it's not industry-exclusive. "All sales are impacted by the economy, I don't care what business you're in," Bushue explained. "One of the reasons we decided to go to u-pick is we couldn't get enough people to harvest." Bushue said the agribusiness community needs Congress to pass "some kind of immigration reform package that provides for a legal and adequate workforce." Rickel agreed. He said part of the solution to the labor issue has to be "the federal government accepting the fact that there's not enough labor in America, and that's in all industries." In the more than 100 years the Bushue family has farmed in Boring, Barry said he attributes a great deal of his success to the "good people that work with us," and utilizing the land for a diverse set of yields — berries and flowers in the spring and pumpkins in the fall. If people aren't willing to work in the industry, the next best thing is to support it as consumers. "We're feeling pretty good right now. I think we welcome the community," Bushue said. "We've provided opportunities for people to come enjoy (a moment) of the lifestyle we enjoy everyday. ... We have a good customer base, and we're happy they've continued to support us. ... We would like to stay here (and) offer the things we have to offer folks well into the future."